The Palm Islands is the largest man-made island in the world and is, undoubtedly, one of the main tourist magnets in Dubai. 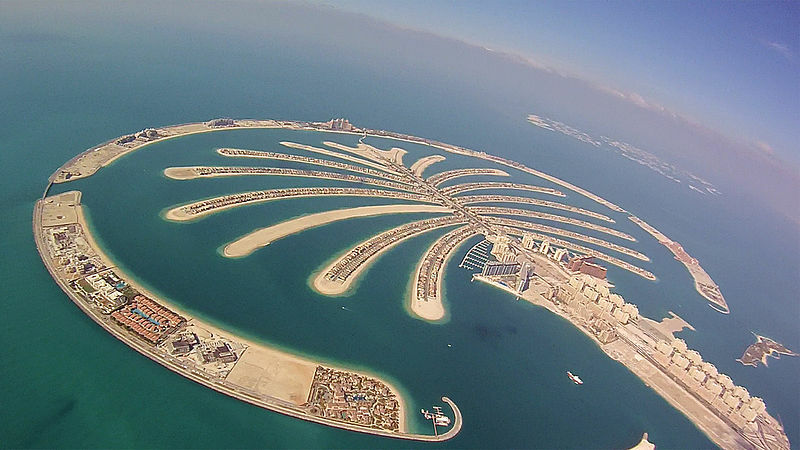 The palm is divided into three islands, namely, Palm Jebel Ali, Palm Deira and Palm Jumeirah. Before construction began, engineers had to invest time on plenty of research on how to make the project unique. The project officially kicked off in June 2001 and by October 2009, as many as 28 hotels were opened on the Crescent. The Palm Jumeirah is made of over 32 million cubic meters of sand, mostly from the ocean floor. There is a crescent adjacent to the island known as a ‘breakwater’ to protect it from harmful ocean currents that may occur due to typhoons. The monorail that runs through the island linking Atlantis Hotel to the Gateway Towers at the other end of the island. This line is a whopping 5.3km in length with plans for further extension. Be it 5-star resorts in Dubai, the likes of Anantara The Palm Dubai Resort or an extravagant wedding venue you are searching for, Palm Jumeirah has it all! Accommodation and entertainment here are aimed at the high-end society visiting the country. Next Post Things To Do In Mong Kok, Hong Kong – The busiest district in the world!